Photos via anonymous tipster, used with permission. 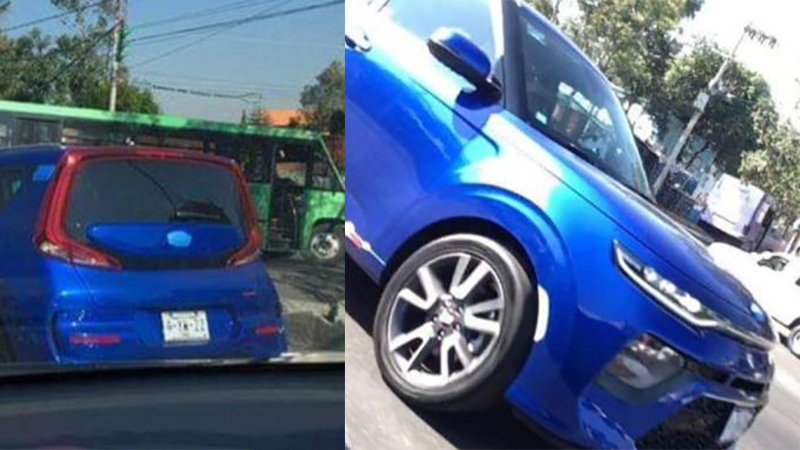 The 2020 Kia Soul is due to be revealed later this week at the LA Auto Show, but Kia’s been teasing the heck out of it and now an anonymous tipster has sent us photos of what looks to be the real deal, and let me tell you something—it ain’t bad. The Soul has always been a nice car to see around, if only because it tries to have a little fun filling in those cracks in the crossover segment instead of just being another overwrought packaging of some copy-pasted design language. That toughness may be due to the upcoming “ruggedly styled” X trim level that will be introduced with the new Soul, according to Roadshow, which also reports the company has teased the new Soul will be powered by either a 1.6-liter or 2.0-liter naturally aspirated inline-four. Both of those engines are probably pretty standard and will do you the service of getting you from Point A to Point B and that’s it. The teaser images also hinted at colorful two-tone bodywork options, with one showing a white lower body with a bright red roof. That roof-wide taillight treatment is also pretty funky, and I’m glad to see the Soul keep most of its charms. Of course, we’ll know much more for sure in just a few days. Or in a couple of hours. Whatever leaks first.